From this dimension, where Souls who have completed their experience on Earth continue their lives – I want to set the record straight about who I was, as Elvis Presley, and about my last life on that planet. The current shape of your world and your lack of understanding sadden me and all Souls living in my dimension and in other dimensions. We are saddened by what goes on, on Earth – the way you behave, the lack of love, all the misery, war, the death penalty… We feel for you and we want to help you understand the purpose of life on Earth and that you need to change and care for one another. 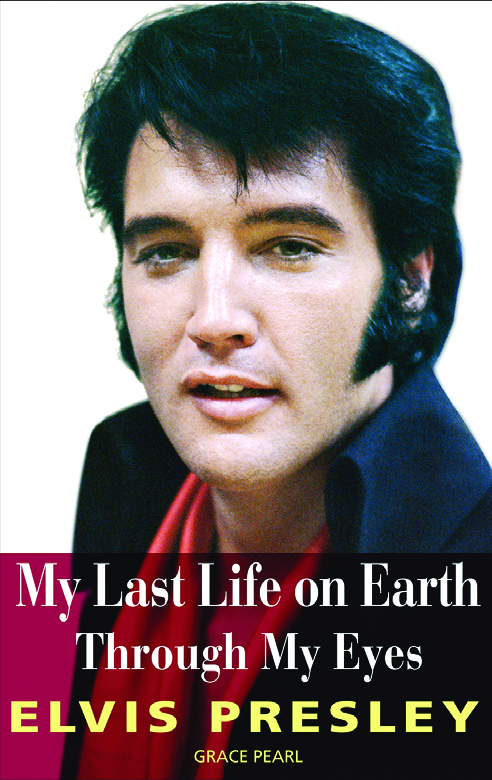 In this touching and captivating book, Elvis Presley first sets the record straight about who he was and the life he led. He reveals previously unknown intimate details about his beliefs, his dreams, his artistic goals and ambitions, his spiritual experiences from childhood on, his political and social views, his relationships, the reasons for his phenomenal success, his unhappiness and loneliness, what led him to drugs, the secret he kept all his adult life, the cause of his death and how he died. Then, in a compelling message, he explains that our true reality is a spiritual one and that the awakening of consciousness is the key to meet the great challenges humanity faces today. He shows us how to transform ourselves, which will bring about the changes needed for a peaceful and better world. He assures us that together, with the wisdom of Love – the most powerful energy of all – we can do it!